This home checks all the boxes! 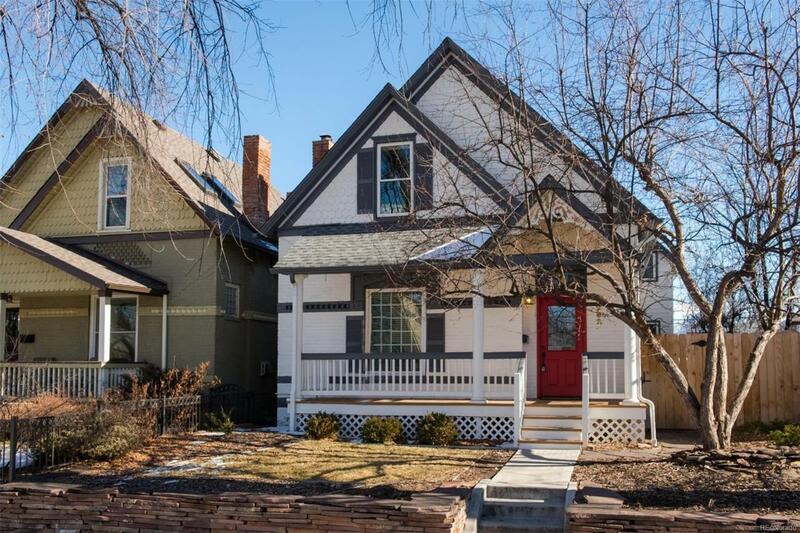 Half a block from restaurants and shops along 32nd ave, this classic home has original charm with all of the modern day updates. Original fireplace in the living room, expansive dining room, hardwood floors, exposed brick and a remodeled kitchen with stainless appliances found on the main level. A guest room or office along with a full remodeled bathroom, light and bright bonus room and main floor laundry completes the main floor. Upstairs in the front of the home, you will find 2 sizable bedrooms with a remodeled full bathroom. A bonus room on the back of the house can be used as an office or converted to a master suite. Enjoy your summers in the backyard under the pergola, with friends and family around the fire pit or planting fruits and veggies in the raised garden beds. Spacious two car garage allows for parking and storage. New paint on the exterior and interior, insulation added, air conditioning, tankless hot water heater and dual furnaces!